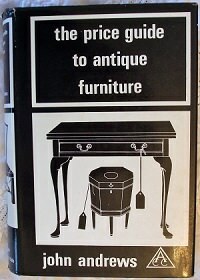 While there have always been Financial Advisors keen to promote the attractions of “alternative investments”, the series of Price Guides published by The Antique Collectors’ Club of Woodbridge, Suffolk, has done much to encourage the notion of antiques as “investments” in the minds of the British public. The seed of this unreliable thesis first took root following the publication in 1969 of “The Price Guide to Antique Furniture” and was bolstered throughout the following years by a whole series of such guides covering various sectors of the antiques and collectables market. That these works are in themselves wholly excellent cannot be denied and in terms both of their academic content and in particular their fine illustrations, they form an excellent source of reference for both the apprentice dealer as also for the budding collector. As is now widely appreciated, the series was launched into a burgeoning market, with prices generally for antiques of all sorts increasing, seemingly by leaps and bounds. For those Dealers at that time working in the trade, the phrase, “never had it so good”, now with hindsight seems wholly appropriate since, as fashions changed and prices inevitably fell, the pattern of price movements once more reverted to it’s former rather torpid norm. If there is a lesson to be learned from this, it is that, for the most part at least, the merit of buying antiques with financial appreciation as one’s primary objective is somewhat of a chimera. The wise Collector then will stick to our oft repeated if unglamorous advice, only buy an item if you like it, want it and can afford it, and treat such financial appreciation as may in due course accrue as an unexpected bonus. If it’s genuine ? Why do I need a receipt ?